The content is fascinating. 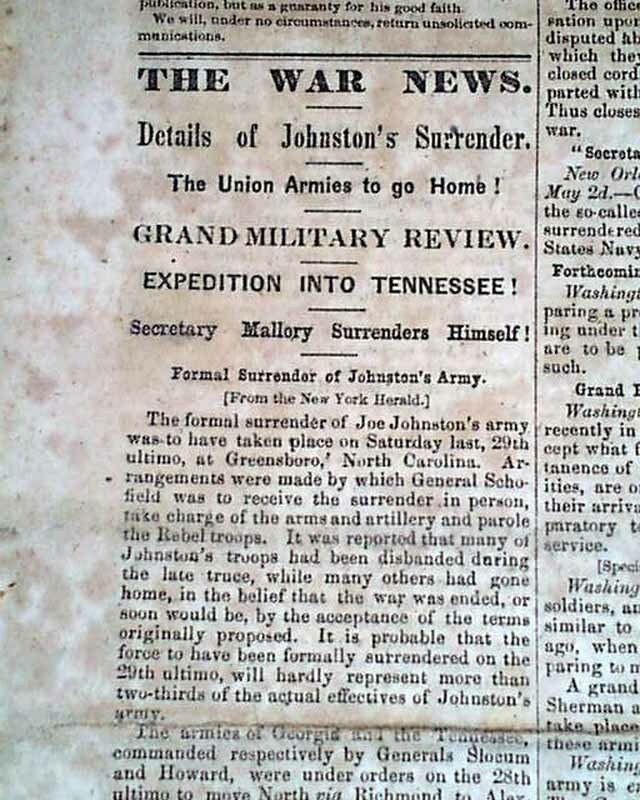 The front page has items relating to the war with: "The War News" "Details of Johnston's Surrender" "The Union Armies to Go Home!" "Expedition Into Tennessee!" "Secretary Mallory Surrenders Himself!" "General Butler on the Crisis!" 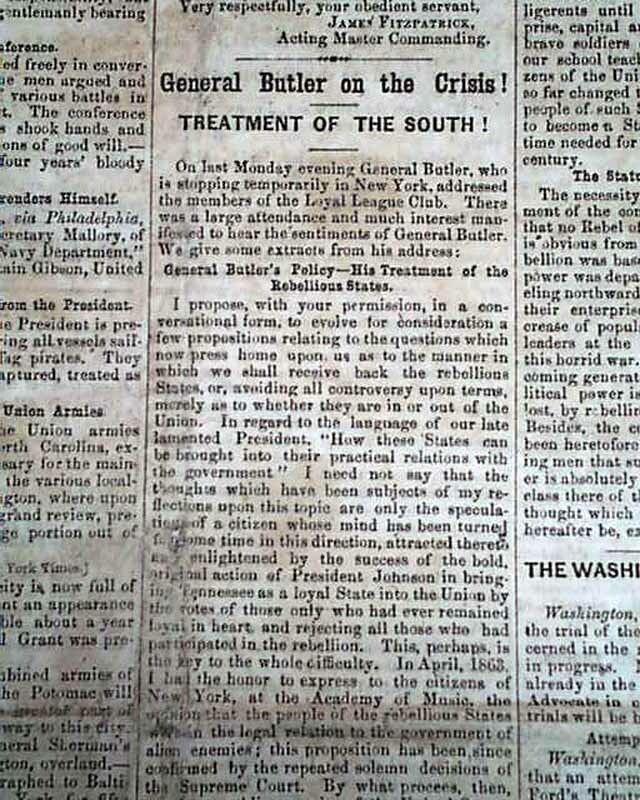 "Treatment of the South!" 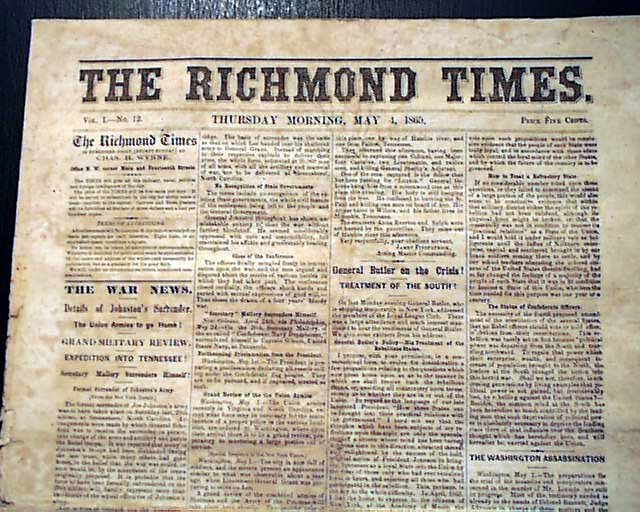 "The Status of Confederate Officers" "The Washington Assassination" and more. 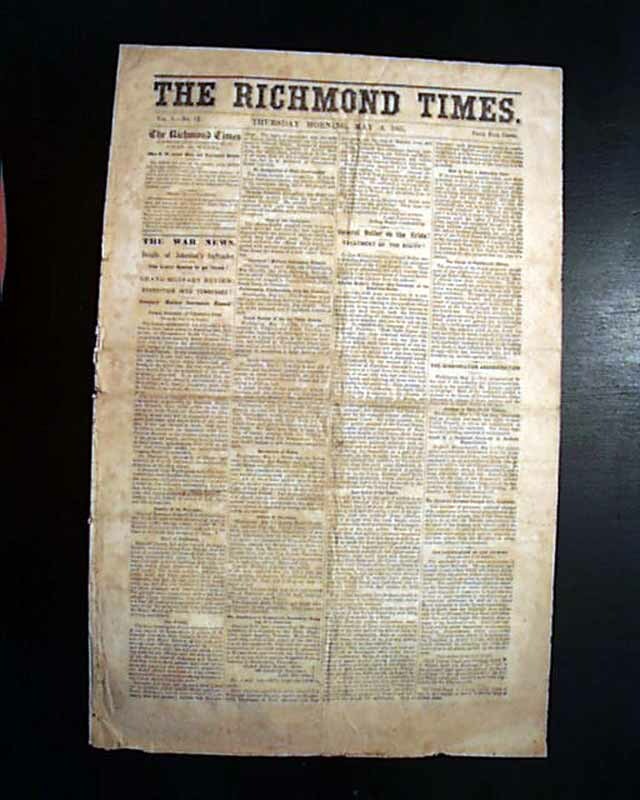 Page 2 has content on the war including: "The Oath of Allegiance" for the clerks of the courts in Richmond & Petersburg, which after taking will be able to resume their jobs (see). 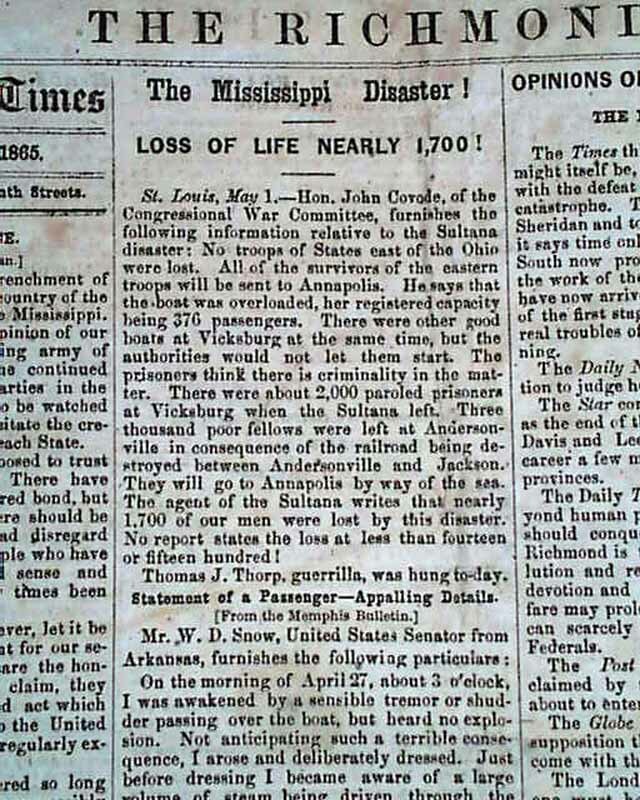 Also several: "Military Orders" and "Affairs at the South" among other items. A terrific issue of 8 pages, 12 by 18 1/2 inches, never bound nor trimmed so it folds out to one large sheet. Some wear at the blank spine margin and a bit of light foxing, a few tiny wear holes to the front & back leaves, generally nice condition.